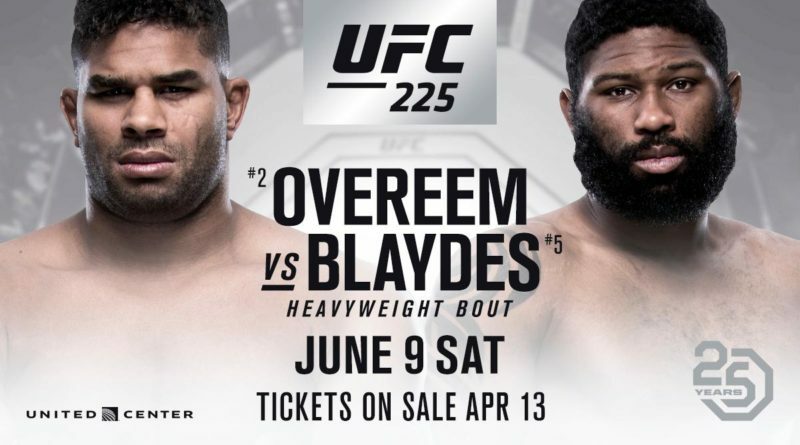 UFC 225 just got an interesting heavyweight clash, Curtis Blaydes is set to clash with Alistair Overeem in Chicago. Blaydes is coming off of a decision win over Mark Hunt in what is another step in the young fighters climb up the UFC rankings, Overeem, however, is coming off of a knockout loss to Francis Ngannou. Overeem, ever since he entered the UFC has always been hanging around the top and this was still true prior to his fight with Ngannou, a win in that fight would most definitely have set up another title fight against Stipe but like Blaydes, Overeem fell to heavyweight phenom Ngannou. A win here gets Overeem’s title chase, back on track with a win for Blaydes most likely setting up another fight against Ngannou.